Builders in Rayleigh, SS6 9BE. Covering South East of England. We are a well established, trustworthy Husband and Wife run business based in Rayleigh  Essex, offering an eager to please and reliable service for customers wishing to renovate, convert or extend their property in Essex. Please take a look at our website and contact us for more information about our services. We look forward to being a part of your project. 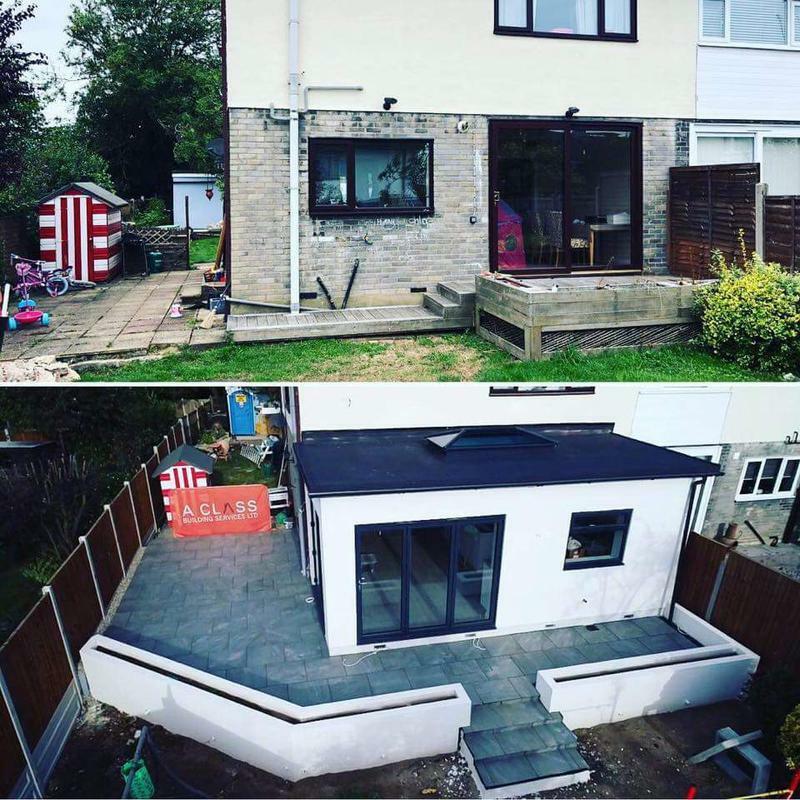 "Words can't express how much I absolutely love my new kitchen diner extension that has recently been completed by A Class Building Services. From the first meeting with John, I knew I was in good hands, he was knowledgeable and capable of doing the job and he did not disappoint. Shelly, John's wife, who assists as a project manager / accounts manager, was great, so approachable and super efficient in her role. John's hardworking team worked tirelessly 7 days a week to ensure the work was completed on time and always in line with John's high standards. I am blown away by the speed this project had been completed, so efficiently managed and professionally done. I would not hesitate to recommended a class to any of my friends and family and am thinking about the next project already, knowing I'm in capable hands. Thanks to you all and I wish you every success with A Class John and Shelly, you deserve it." "A Class have just completed a knock through and re-fit of our kitchen diner and have done a fantastic job. The project was completed ahead of time and to an incredibly high standard. John, Brad, Barry and the rest of the team were always on time, friendly, helpful, polite and professional and along with Shelly made the process go smoothly and as hassle free for us as possible. From the outset they were really responsive and provided a detailed schedule of work and fees which were stuck to with no hidden costs. We are so pleased with the final result and I wouldn't hesitate to recommend them. 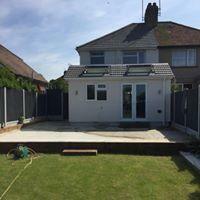 I will absolutely be getting in touch with them for any future building work - thank you A Class." "A Class builders have just completed a single storey rear extension and turned our old kitchen into two rooms – an office and downstairs toilet, in addition to this new flooring throughout the ground floor and a large paved patio and Monocouche to the exterior. From the initial site visit through to the completion of the project the service has been beyond our expectations. John, Shelly and all the trades have been fantastic, professional and the work carried out has been to a very high standard. John the Project Manager has a real attention to detail and like us wanted everything to be perfect and he always strived to exceed our expectations. John talked to us throughout every step of the build, he gave us some innovative ideas that we had not even thought of to make sure we got the best finish, we honestly are so grateful. When choosing a builder and parting with your money you want to make sure you pick a good one, A Class will not disappoint. Thank you to the team, we love it!" "Honest, Reliable, and Trustworthy, Shelly, and John were with us throughout our journey to our dream kitchen, delivered on time and on budget, thanks to the teamwork and attention to detail. Barry The Fitter, gave it the 'Look and finish' we wanted. We are very happy and would strongly recommend the whole team."